The weather does not decide when’s a good time to enjoy ice cream. No matter how warm or cold it is, ice cream remains fascinating especially the rolled ones. Yes, rolled. 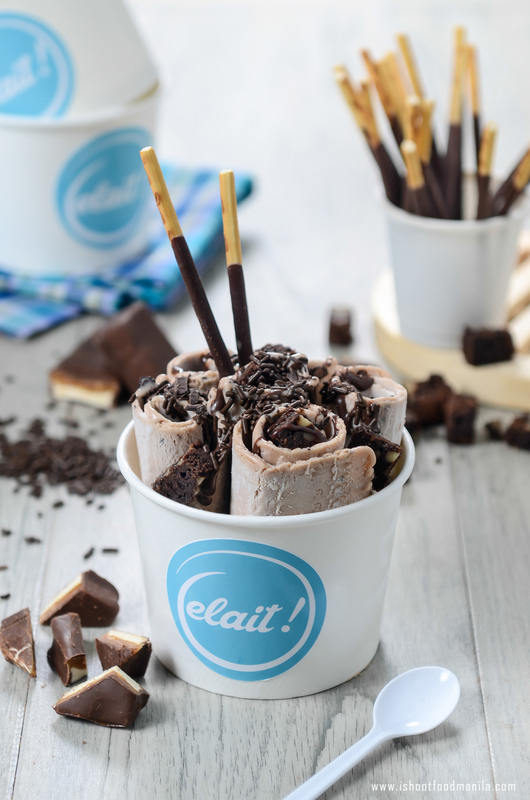 Elait is bringing the sensational Thai frozen dessert to the Philippines. Unlike most ice creams made ahead of time in an electronic ice cream machine, rolled ice cream—also known as stir-fried ice cream—is made to order by hand. Elait can whip up this frozen treat in about 2 minutes. The process starts off by pouring a base of sweet milk on an extremely cold (-35°C) steel surface. Paint scrapers or metal spatulas are then used to chop and mix toppings into the base. Once the base is frozen solid, it is spread thinly and scraped at an angle to create the magnificent rolls of ice cream. 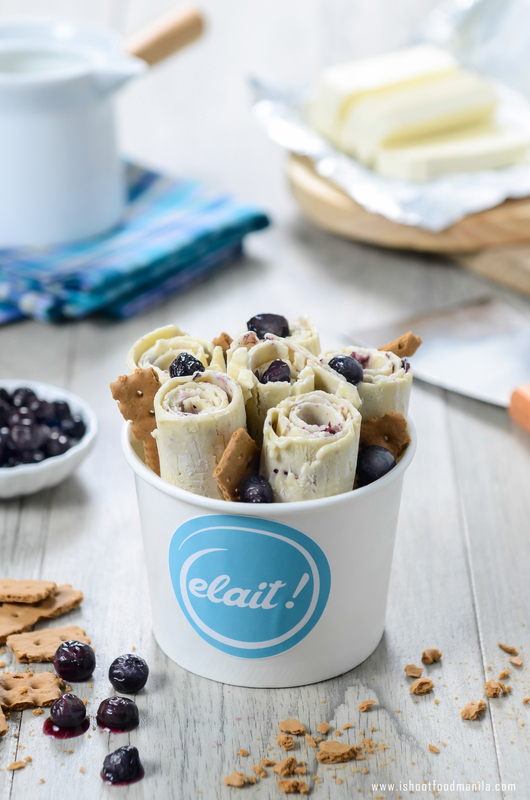 The rolls are then placed carefully in a cup and topped with items like syrups, cookies, chocolates and fresh fruits. I Shoot Food Manila and its food photographers sure loved the experience at the sight of a skillful chef artfully chopping and scraping up ice cream right before our eyes, but it was even more satisfying to capture these rolled-up delicacies in a resourcefully arty photo shoot session. 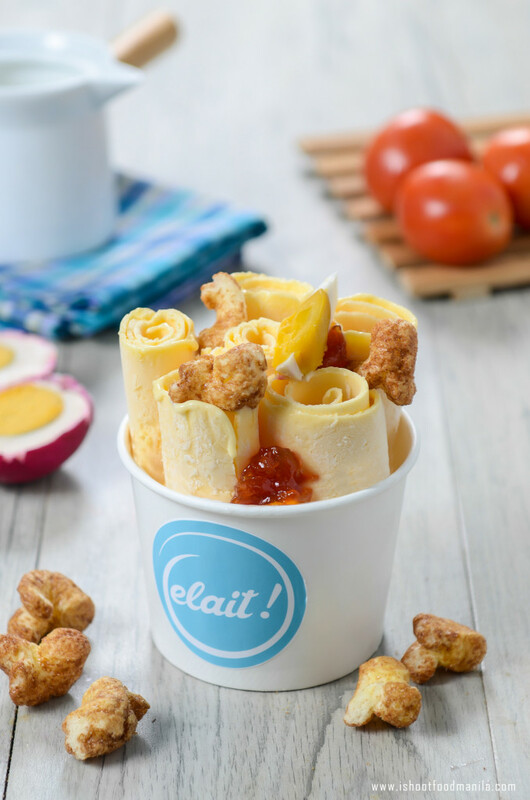 Keep an eye out for rolled ice cream—it won’t be long until this trend sweeps the entire nation.